This is a great first memory game for a toddler or preschooler. 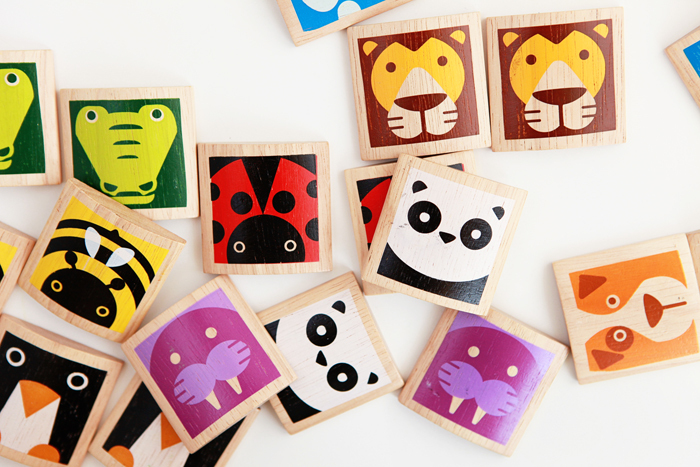 The game consists of wooden tiles with stylized pictures of animals in bold and appealing colors. 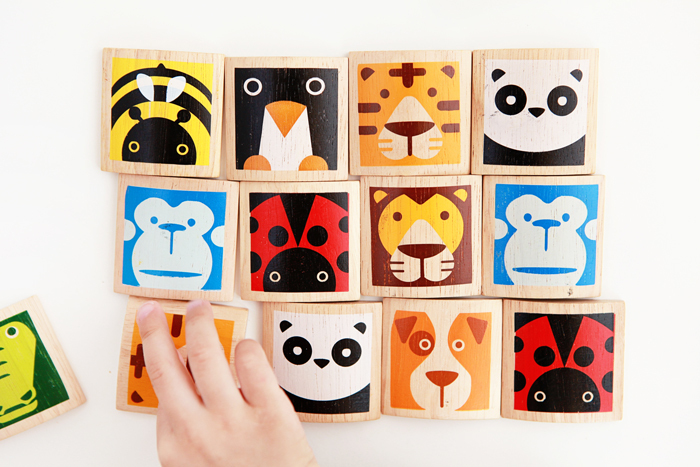 I like how the tiles are substantial and made of wood, thus easy for little hands to handle and flip over. What's nice is that they are durable enough to pass on to someone else after Avery and Nate outgrow them!